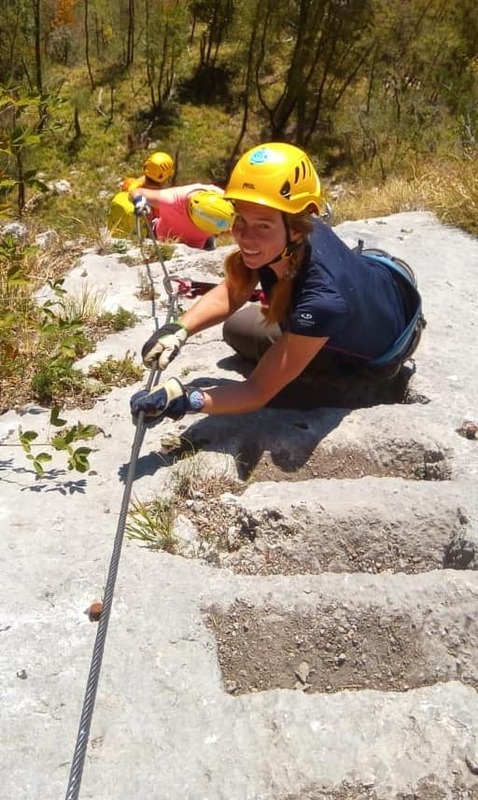 The Via Ferrata is a complex of structures and technical gear fixed on a rocky mountain side to make easier and safer for the climber to reach the top. 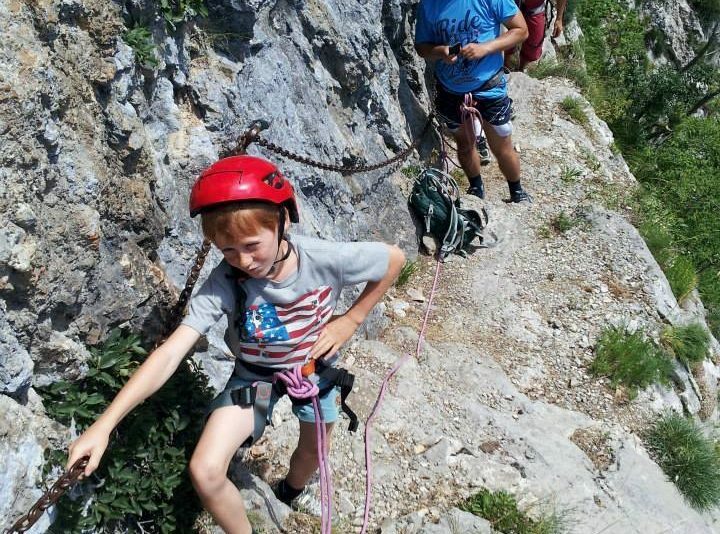 Enjoy this amazing sport with your family in the middle of Apuan Alps! 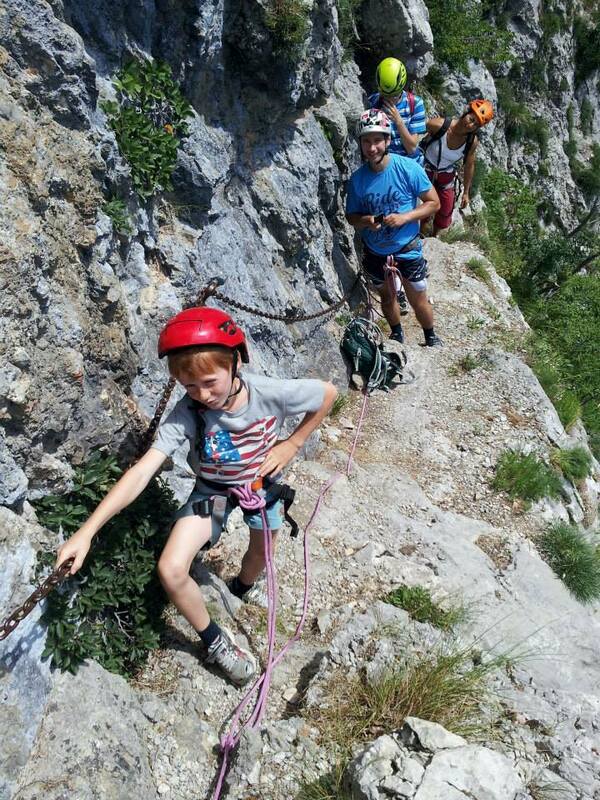 This particular via ferrata is also suitable for children from 8 years old and up, and you will be always accompanied by a professional, authorized, English speaking alpine guide to ensure your safety. 9,15 am pick up at Forte dei Marmi- Serravezza-Querceta train station. Transfer to Stazzema. 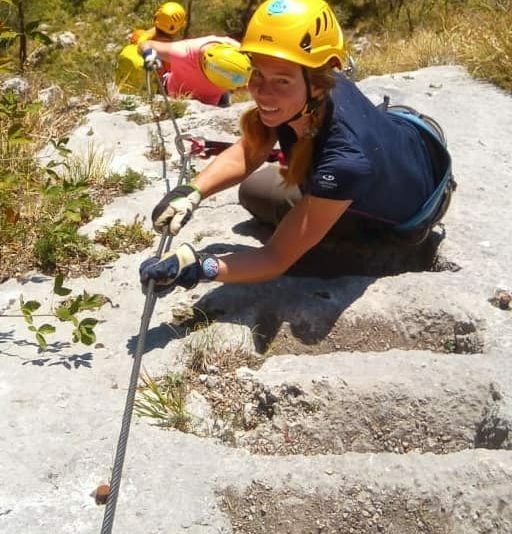 Approaching the Via Ferrata of Monte Procinto on an easy path (about an hour and a half walking). 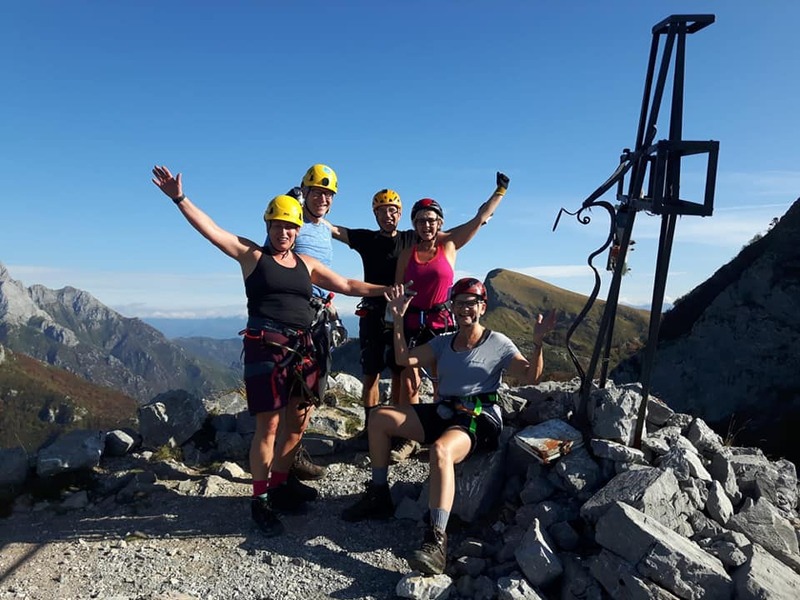 From 11.00 am, ascent of Via Ferrata (about 3 hours ascent and descent), technically not demanding but exposed to the void. 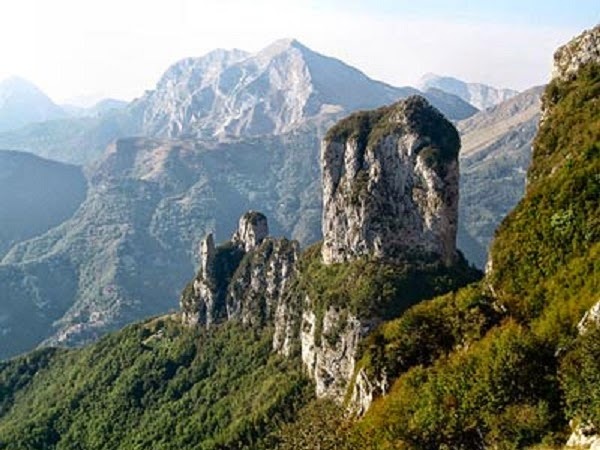 On request, it is possible to have lunch at the beautiful “Forte dei Marmi” refuge, at the base of Monte Procinto. In the afternoon, return to the Forte dei Marmi- Serravezza-Querceta train station. All technical gear is provided by your guide. Tour available: the tour is available on a private basis. Please contact us for a quotation. Participants: On private basis min 1 max 6 people per guide. Contact us for more information. 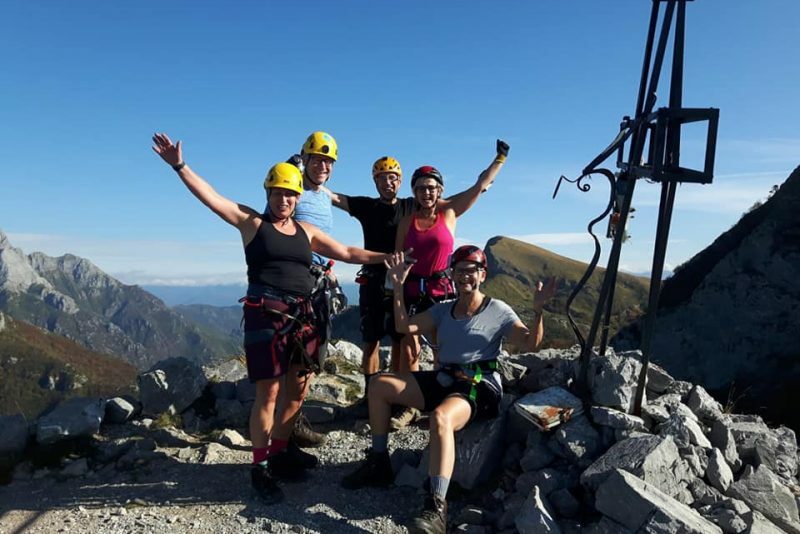 Price includes: expert alpine guide, rental of the mountain climbing equipment: climbing harness, shoes, helmet; packed lunch and transfer from/to meeting point.